Homeschooling and Working Full Time. What It Looks Like - It's A Drama! Homeschooling and Working Full Time. Why It Almost Killed Me. We started homeschooling seven years ago. For a year I was homeschooling and working full time. Is it possible? Can you take your child out of school to educate them at home and continue to work full time? Homeschooling and Working Full Time. Is it Possible? 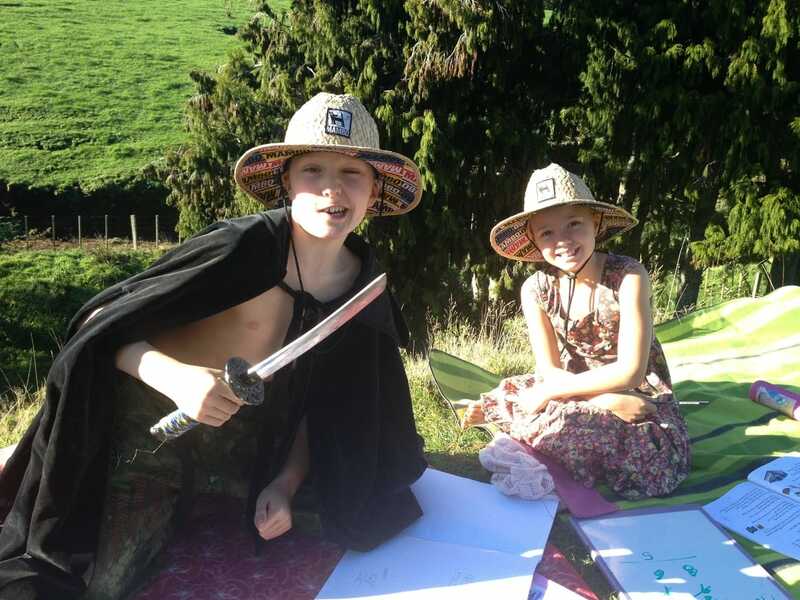 What School Looked Like In New Zealand For My kids. Was Everyone Keen to Make Homeschooling Work? How Old Were The Children When You Started Homeschooling? The First Six Years of Our Homeschooling Journey. Homeschooling Your Child and Working Full Time. What it Looks Like. Would I Recommend Homeschooling And Working Full Time? Do I Know of Anybody Who’s Made a Success From Homeschooling and Working Full Time? My kids were 10 and 7 when I first started to homeschool them and looking back it was super easy. 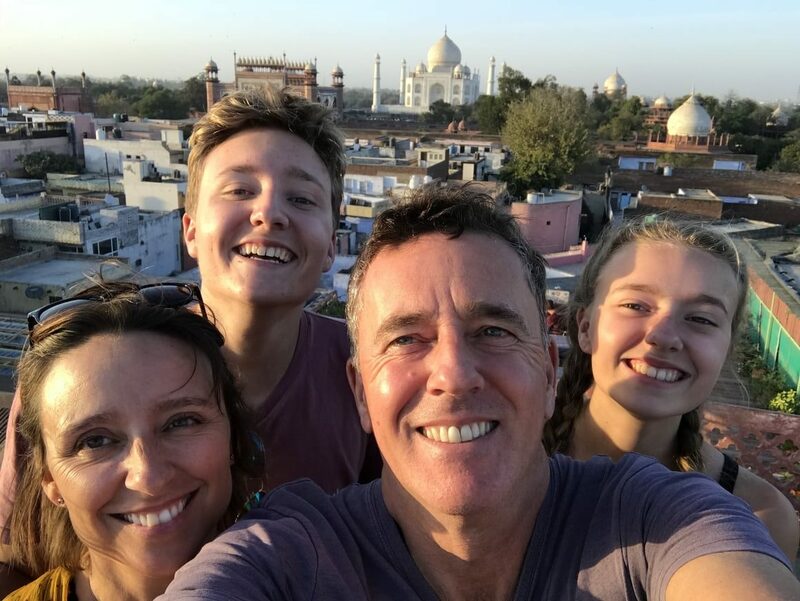 My kids are now teenagers and I am happy to say, that with the help of online programs, are thriving and loving learning at home. But we have had our problems, one of those was when I tried working full time while home-educating. Is it not possible to work while homeschooling? Yes, it’s possible and I will tell you about some successful friends of mine that home educate their kids and work full time later in the post, but first let me fill you in on what our homeschool journey looked like. Before we emigrated to New Zealand and were living in England, homeschooling or home education whatever you wish to call it, was something that had always interested me. But a few things stopped me from giving it a go. Having a huge mortgage meant that we couldn’t survive on one wage alone. I owned and ran a café at the time, and I certainly wasn’t going to take two kids under 7 with me to work. Can you imagine? Sonny would have eaten all of the profits for a start. I was also under the impression that homeschoolers were a bit weird – another reason I didn’t try harder to make homeschooling an option. Homeschooling remained a distant fantasy. And off to school, they went. Homeschooling and working full time was not something I wanted to do while the children were so young. 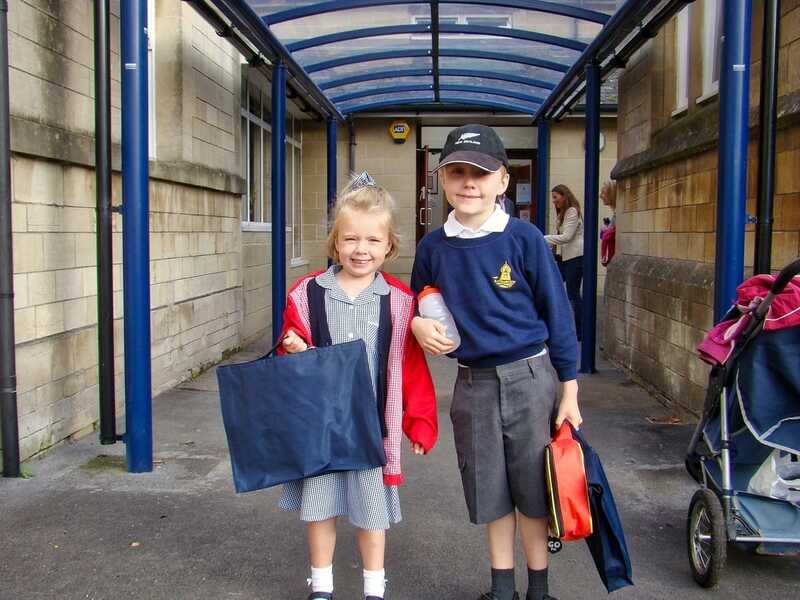 So, off to school, they went. In 2009 we emigrated to New Zealand. House prices there were a lot lower than the UK, and so financially we were slightly better off. I still thought about homeschooling, it had never left my mind, and now it seemed like a more attainable goal. 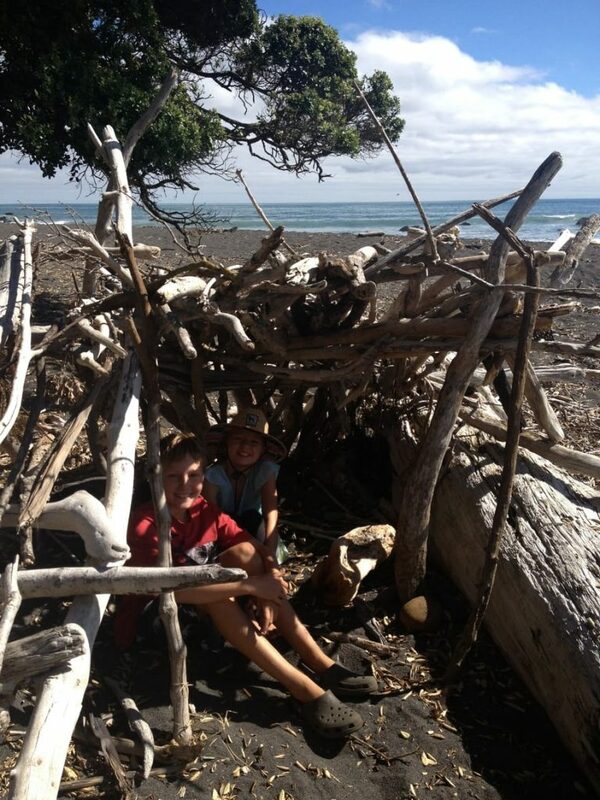 Unfortunately, I still had my fears and worried that taking your children out of school was something that only hippies or religious people did, so our first two years of living in New Zealand saw both of my children enrolled at the local primary school. New Zealand’s attitude to primary school is a lot more relaxed than in the UK. I know people say that the system isn’t as advanced, but I never saw any evidence of this. School is school. No matter where you are in the world. There are still thirty children to one teacher, peer pressure is prevalent, and if you don’t know a, b and c, by the time you are nine years old you will be labelled as struggling. All the things that annoyed me about school in the UK were still present in New Zealand. I got involved in my children’s school day as much as I could by volunteering in their classrooms as a helper, but this made me want to bring them home even more. Sometimes you’re best off not knowing what goes on at school. On the mornings that I wasn’t staying to help, I’d drop them off at school and wave goodbye. I’d go home feeling empty and sad. There was so much that I knew I could teach them my own way and at their own pace. Everywhere I looked, places were just screaming out to learned about and explored. While it was true we could go and do these things together as a family, having two days at the weekend just wasn’t enough, and anyway, the children were always far too tired to do anything by the end of the week. I became friendly with a lady who was giving my daughter horseriding lessons. She lived down the road from me, on a farm. She unschooled her two boys. 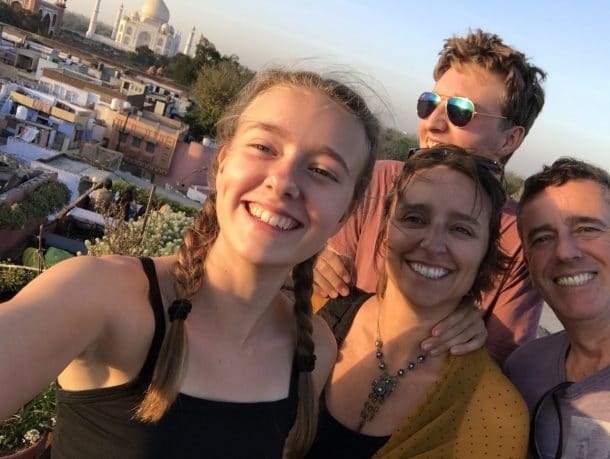 I knew nothing about unschooling and so proceeded to ask all of the typical questions about University and socialising. The lady down the road patiently informed me of what it was all about. Unschooling, for those not familiar with the term, is freestyle learning that is very much child led. The children decide what they want to learn and then dive headlong into learning about it – in whichever way takes their fancy. That might mean spending two weeks curled up in front of the fire reading about the world’s highest structures or collecting driftwood from the beach and taking a week to build their own Leaning Tower of Pisa. I’m not going to go on about my thoughts on unschooling right now, but just know that if I had my seven years again, this is the way I would go. For sure. I admired the lady down the road for homeschooling and unschooling. She seemed so happy and relaxed. The kids were free and always outdoors. She started telling me about the local homeschooling community that she was part of, about how there were over 200 kids and that they did all this fantastic stuff together as a group. I began to plan an escape from school. In 2011 we decided that we would pull in our belts. Cut back on a few things- no more meals out or buying fancy clothes- in fact, no more clothes unless they were second hand. We would be buying cheaper wine, and swapped our petrol car with an old but affordable diesel Mitsubishi. All of these things would enable us to survive on one wage for a while. And one wage meant that I could homeschool. Brian, my husband, was ever supportive. He’s a science man so was excited at the thought of being able to teach the kids something I knew absolutely nothing about. He also had his own heating business, so the possibility that both kids could go to work with him and learn how businesses run was a very exciting prospect. Sonny and Tessa, as you can imagine, were over the moon. Their mum had just told them they could quit school. Why wouldn’t they be excited? Especially Tessa. She was at that beautiful age where the only person she loved more than her Mum was her Mummy. I was excited but scared too. I knew it was a massive undertaking and was aware of what the consensus of homeschoolers was. Having been one of those people that thought homeschoolers were weird. How funny. Ten years on and we have lived a life very differently to others. Now I would be annoyed if people thought I was normal. Homeschooling has taught us all that to be different is to be unique. And to be unique is exciting. Back then, I wasn’t aware of this and so was just a tiny bit terrified and worried of what people might think of me. Sonny and Tess were 10 and seven respectively when we started to homeschool. Initially, we told everyone that we were just going to try it for a term. After the first term came to an end, I kept hold of my safety blanket by saying that we would just homeschool until the end of the year. That year turned into six without me noticing. I am in no way an expert on homeschooling, but I know what has worked for us and what hasn’t. In the six years that we have been at home, we have had lots and lots of fantastic times. But we have also had many tears. Mostly always mine. It’s hard being the Mum, especially when that same mum has to tell her daughter that she needs to learn how to spell. Your homeschooling journey would look completely different to mine. But in the first six years, before I tried to homeschool and work full time, our homeschooling journey was very special. Like I said, not always easy, but then nothing is. That’s fine. This is how our homeschooling journey looked for the first six years. 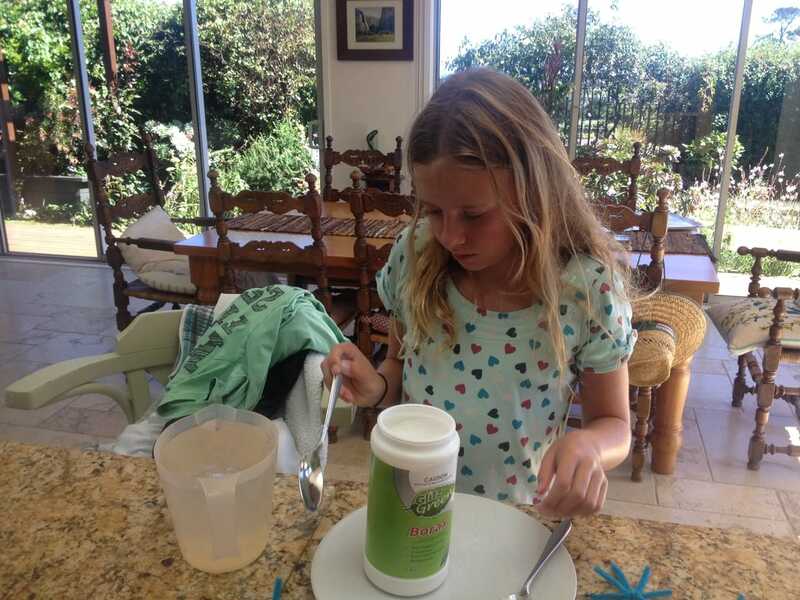 My children have learned mainly on the beach and at our kitchen table. They have learned by living. If they’ve wanted to do a project on pollination we have spent hours laying in a field watching a bee going from flower to flower. They just learned wherever they felt like it. Most of our learning takes place in the kitchen though. If they ever showed an interest in British history, we would spend a week watching BBC documentaries. Doing their lessons on the beach. The best classroom ever! 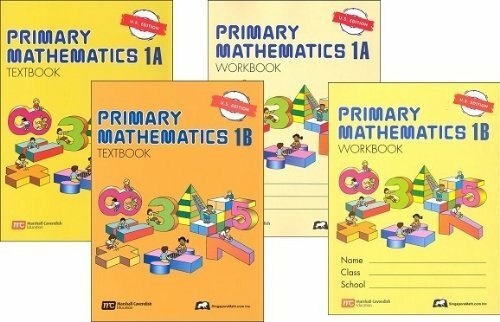 Before I turned to online maths tuition, Maths was always done through the Singapore math programme. It’s apparently the best in the world, and we used it for five years. It was a fabulous, thorough programme and I can’t recommend it highly enough if you are looking for a teacher-led maths programme, remember though, it does require that you teach it! I’m rubbish at science. I try, I really do, but ask the kids…every single experiment that I’ve ever done has failed. I’d spend days researching how to get the yolk of an egg to the outside by spinning it really fast in a pair of tights. I’m not joking; it was a bloody disaster. The kids would almost wet themselves with laughter at my attempts. It not only cost me a small fortune in eggs and tights but in the end, I forgot why I was even doing the experiment. One of our many science projects. If I kept out of it, they were ok, as soon as I stepped in…Epic fail! Thankfully I found a very inexpensive science course online. These days I don’t even attempt to do science, which is a shame. I miss those epic fails in a way. We did lots and lots of reading in those first six years. Reading covers everything. Dont forget that. If all you do for five years is read a range of books with your kids, they will learn a MASSIVE amount. We would spend hours reading on the beach or in the garden. Every time we went in the car, we would listen to a talking book. I could fill pages and pages of the books that we have read, but I just want to recommend the ones that taught my kids (and me) the most. Teaches the kids history, values and the English language. 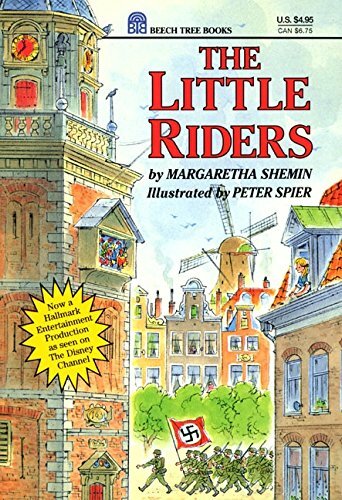 We LOVED this book; especially as we are from England and we could practise our ‘deep South’ accent! 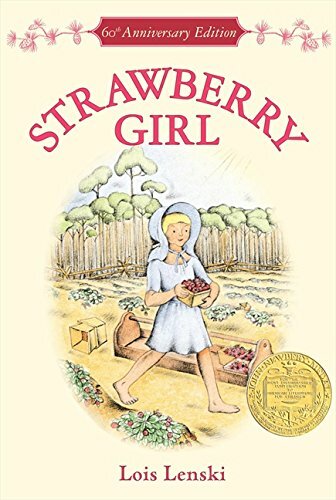 Another fabulous book for any child under the age of 12 (and Mothers who are 48). Teaches about Europe, integrity, adventure and business. 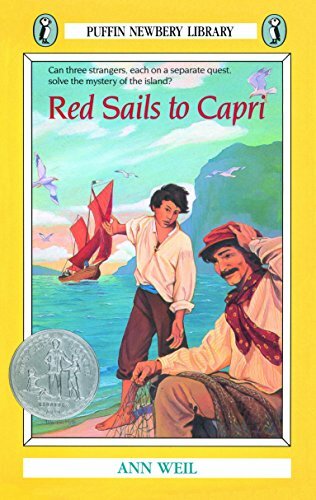 My kids LOVED this book. Set in the WW2 about a child who saves the local clock tower. Teaches about the war, Europe, bravery and was a fabulous conversation starter into a deep subject. Homeschooling was easier when the children were younger. Although it demanded more of my time, it was more straightforward. No phones or gadgets vying for their attention. For the past three years, we have had a no phone policy while they are doing school work. We don’t have clocks in our house you know. Homeschooling and working full time. It’s hard, but it’s not impossible, especially not if your kids are teenagers and are capable of sitting with the work that has been assigned to them. 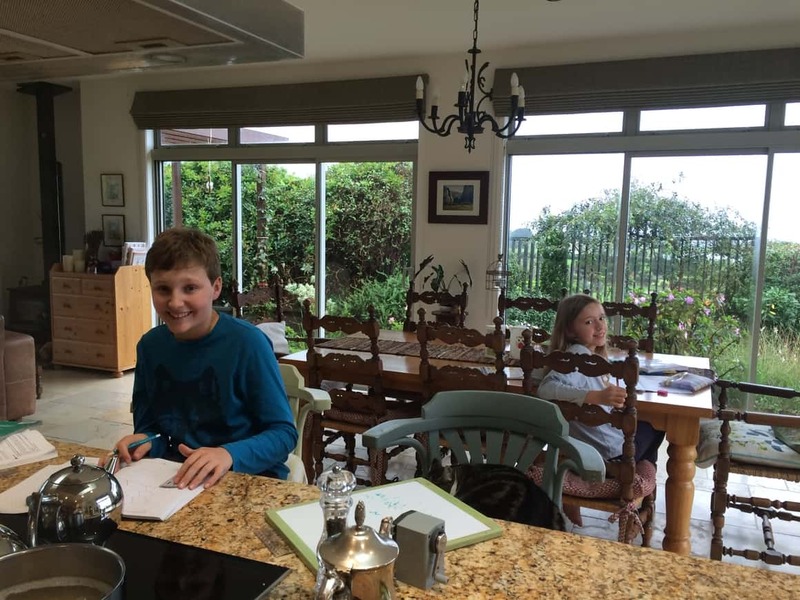 As S and T became older, so our homeschool routine changed and adapted. I found that by using more online tutors my time was freed up. This was probably the insane reason I decided to start my own business again and believed that I could manage both homeschooling and working full time. I am addicted to starting new ventures; I get a real buzz from it. I was ready for a new challenge and so decided to build a touring theatre in education company. This I did, and it was a huge success. But what was supposed to be a part-time venture took over nearly 40 hours a week of my time for a year. I was homeschooling and working full time, and it wasn’t easy. The trouble was not being able to give 100% commitment to either one or the other. I tried to balance both, but in the end, it was too much. After a year of success, I put the theatre company on hold. Educating at home while working full time. It’s not easy. Yes, it helped that the kids were both involved in my business, but at the same time, It was a massive juggling act. Sonny was 15 at the time, and he coped fine. He is doing exams through a correspondence course. He’s very independent. I’m only there to advise him on assignments, nag him to get on with his work and tell him to get off Facebook. But Tessa? She was only 12 and had to take a bit of a back seat. Although I don’t think it did her any harm, in fact, it was probably good for her to see her mum create a business from scratch and then make it all work, I also know it wasn’t easy for her. She has been used to having me there to help her and to arrange science experiments that would fail. Yes, it’s made her a lot more independent, but I don’t think either one of us was ready for it, or particularly enjoyed what it did to our homeschool routine. For me? No. It was just too much of a struggle. We all try to be like a super mum. And although it is possible to do both, homeschooling and working full time, comes at a price. That price for us was a tired, stressed, over-stretched mum and teacher. My idea of homeschooling is all about spending as much time as I can with my children. Failing at science projects and watching bees flying into each other. You might be different. If your homeschoolers are of an age where they can get on and work independently then yes, it probably would work for you, but my daughter was just that little bit too young. Yes, I do. I know lots of people. The lady on the farm that I told you about earlier was a full-time vet who practised from a clinic at home. She made it work for her family, and her boys were both under ten years of age. They would spend all day playing games and writing out projects. I have a friend who works full time while her son – who surfs for New Zealand, is left to fit his work in around his own schedule. He is a successful teenager, and the family make it work for them. Another friend who is a full-time midwife juggles three children under 12 and still manages to smile when she sees me. Some days she takes the children with her to the clinic, and other days her husband is at home for a few hours. I could go on and on. My point is, it’s not impossible, it just didn’t work for us. 25 Awesome and super cheap gifts for kids! I take my hat off to any parents who are homeschooling and working full time, I really do. If you can make it work for you without having a nervous breakdown, then go for it. Me? When I come back from our year travelling around the world, I will consider it again. Tessa will be a lot older and capable of working independently – so we will see. Do what works for you. Homeschooling is a job in itself, granted it might be an unpaid job, but it’s still a job. Don’t spread yourself too thin. The years that you do homeschool may be poor ones but make sure they are happy ones. You can always be supermum when they’ve left home. Screw this. I want a location independent lifestyle. Show me how. And quickly. Are you a homeschooler/unschooler/home-educator? 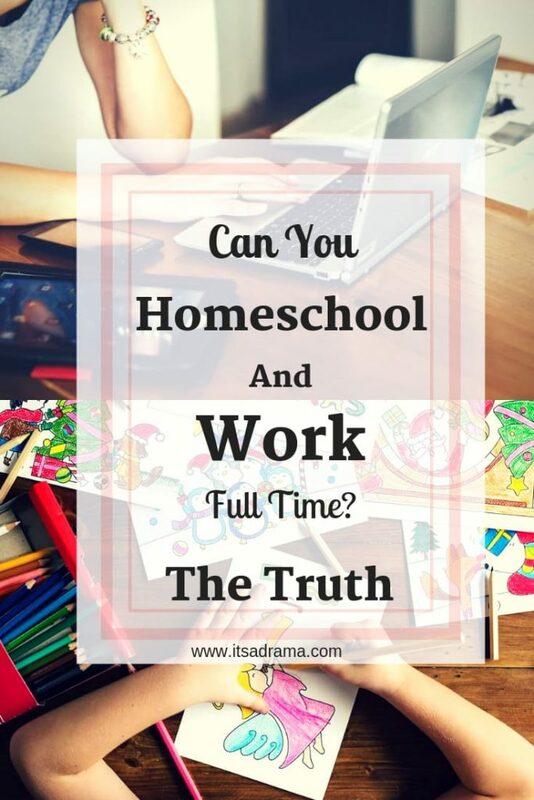 Or are you thinking about homeschooling but don’t know if you can homeschool and work full time? Drop me a comment below and let me know what you are thinking. I’d be happy to answer any questions you might have. 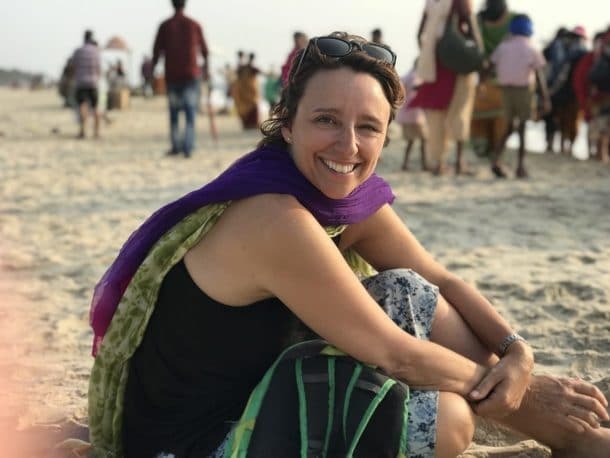 Or, sign up for my newsletter, and you’ll be able to stay up to date with our worldschooling journey and how it panned out. What you omit to say Lizzie, is that you have done an amazing job in turning out two delightful, confident,talented and very intelligent children!! Well done!!! I’m a mum of two kids, from Nigeria. I would to like to homeschooled my children as this as been my husband and I desire long before we got married. However coming from typical Africa where most times a family has to live according to the detect of they extended families makes you bend or sometimes even abandon completely your choice of how you want to rise your kids, which often time lead to bitterness and regrets anyways. The second hurdle is finance: just like you outline earlier In your piece you had pick up work and do businesses to ends meet, so also with me hear, though I’m self employed but I’m sure I don’t need tell to you that a successful business requires time diligence and so it also with wanting to become a successful homeschoolers. But I won’t lay to you I really I need the finance backup except I want to leave like an island or orphan, and my husband have given me the decision of how I want the children’s beginning should be this I must tell you is one of the toughest task I’ll b given so far the future of my kids;? Considering the mentality of my people. Though your piece has help in answering some of the questions, but I’ll like to know what is best to start homeschooling a child? My kids are between 5 and 2 and my business is just starting. I hope my mail in time. Thank you in anticipation for your response ma’am. Thank you so much for your comment and for sharing with me such an intimate part of your life. I didn’t start homeschooling my kids until they were aged 10 and 7. I wish I’d started earlier but like you, I was involved in my own business and also like you wanted to give one or the other my full attention. 5 and 2 are still so young, and by reading your comment I would say that you should dedicate a couple of years to your business and get your finances where you want them to be. 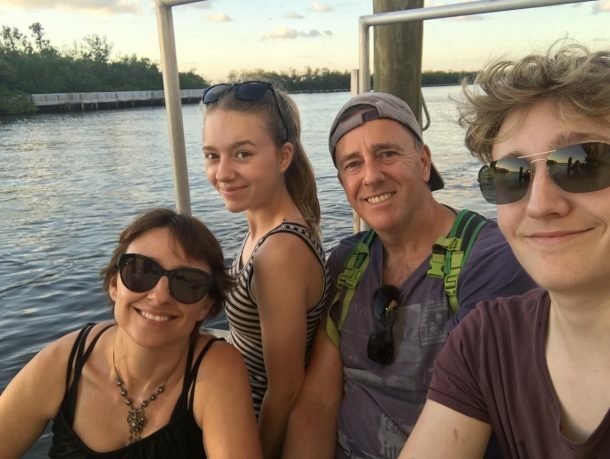 People will tell you that you can do both, and perhaps you can – but for me, I needed to be there with my children 100% of the time and so, working full time made it too stressful and that’s not the point of homeschooling. I don’t think there is an ideal time to homeschool, this depends on your personal circumstance and what might have been right for me may not work for you. You have time on your side Mrs Sola, perhaps take your business to where it needs to be and then look at homeschooling again. Perhaps when the kids are 7 and 4 or even 8 and 5. Still a beautiful age where they love mummy and daddy over anyone! On the subject of family pressure. These are your children. You are their Mother. Your husband sounds like a lovely, understanding and supportive man. Do what makes you and your husband happy. In twenty years time, the people who are discouraging you probably won’t even remember that you homeschooled. They will be worrying about something else. You, on the other hand, will remember nothing else for the rest of your life. Be kind to yourself. Whatever decision you make will be the right one. Lucky children to have a forward-thinking Mother like you! Mrs. Sola please think of your family first.